Imagine this: you’ve just received a big bonus, and you have the perfect idea of what to do with it. You’ve drawn up the plans for a new pool in your mind. The family is eager to jump in. You might even invite your entire extended family. Unfortunately, by selecting the wrong pool builder, a lot can go wrong. Pool construction is big business, and there are unfortunately plenty of scammers out there. Just recently, a Burleson woman was at the wrong end of one of these scammers’ schemes. She was recently diagnosed with Multiple Sclerosis and wanted to purchase a pool as a place to exercise. Sadly, once she selected her pool builder and put money down, the troubles began, and it cost her thousands of dollars. It’s always disappointing to hear of such negative experiences. 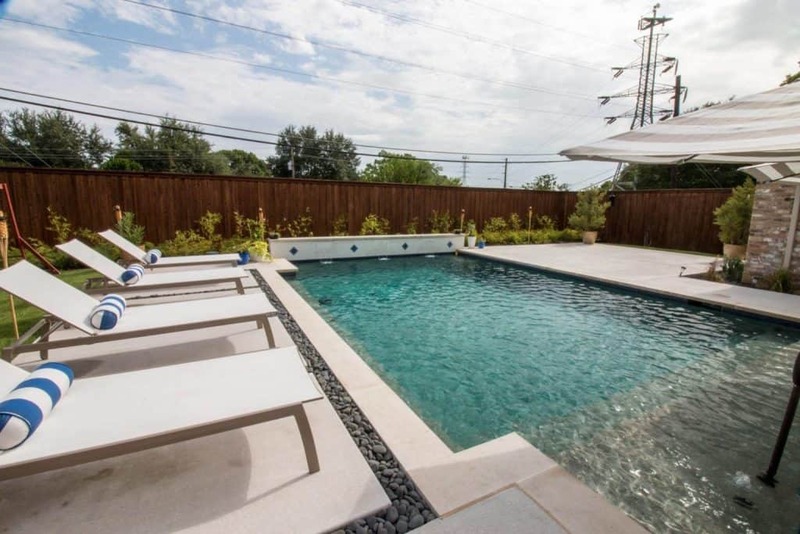 Here at Summerhill Pool, we hate hearing of these companies that take advantage of customers because it sheds a negative light on an industry that we cherish and love, and it makes people rethink getting a pool added to their property. These stories make it clear that you need to do your research before hiring a company to undertake your large project. If you want to be sure that you’re hiring the right company, you need to find a company with the correct licenses and certifications, great reviews, and an excellent rating from the Better Business Bureau. Summerhill Pool has an A+ rating from the BBB, and you can view our reviews and certifications on our main site. We also lay out our customer service process so you can see the care and attention that we provide you throughout your experience with us. We’re proud of our Summerhill name; it’s a brand that we’ve developed over several decades and we work hard to protect our reputation. Want some inspiration or examples of Summerhill’s work? We have published several pages of completed work, showcasing our gorgeous completed projects in order to provide you with ideas and inspiration. Remember that with Summerhill Pools, you’re not just getting a pool – you’re buying a lifetime of value! 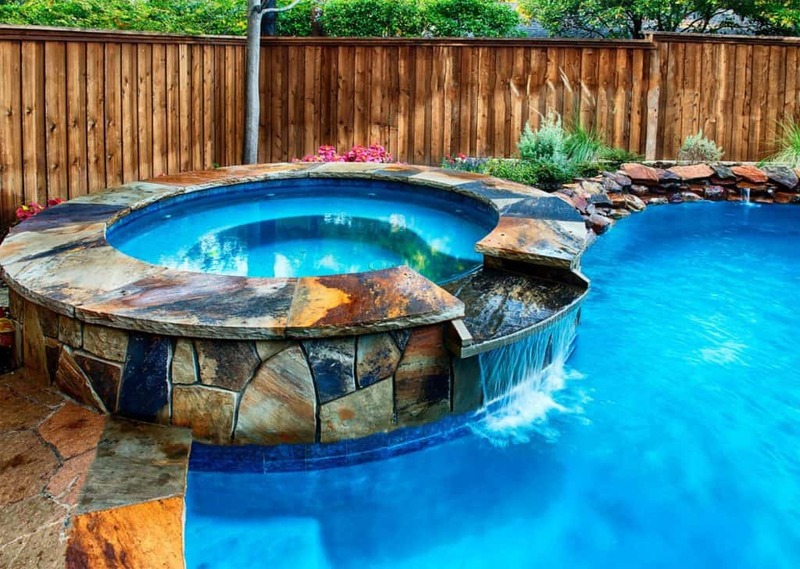 The first thing any pool constructor should do is take measurements of your backyard. The best constructors (like Summerhill) will then make a 3D rendering of the pool concept using Pool Studio software and send the rendering to you. This helps you see your ideas and what your backyard will become. They will also use only the highest grade materials and will produce the best work down to the last detail. Summerhill Pool uses #4 Rebar, Shotcrete, and travertine decking that we make beautiful cuts in. We don’t expect you to know what any of this means, but know that these are top notch! From the point that you fill out our Contact Us Form, call us or visit our office – we respond to your initial contact promptly. We immediately assign you to one of our remarkable Sales Staff and set up an initial meeting to discuss your ideas, dreams, and inspirations for your home. We don’t spend a lot of amount of money on advertisements – we let our work speak for itself, and rely mostly on word of mouth from our happy customers. We believe in the value of organic growth. Our customers see the type of work we do and are naturally drawn to our personality and quality of work. In this way, we provide you with more confidence that you’re choosing the right company to handle your job. Mark McCaffrey built this company from the ground up. He has over 35 years of experience in the pool industry, and he moved up from worker to owner, so he has complete knowledge of the industry. Over the years, he’s passed his knowledge and skill set on to his superintendents and sales staff. He’s set the focus of the company 100% on the customer. Summerhill sales staff will connect with you 100% from start to finish. We maintain this personal contact from the initial meeting to the completion. You will have a direct phone line to your contractor, and any concern or question will be answered immediately. We do a lot of projects on a regular basis, but we always maintain the ability to respond to our customers and answer their questions. We are very open about our team, our history, our sales and construction processes, and what our motivations are. Our passion for what we do will guarantee that we build you a beautiful backyard that completely transforms your space. So if you’re looking for not only a new pool but a paradise right outside your door, contact us today!